The UNESCO Almaty Cluster Office, in partnership with the Public Foundation “Cultural Dialogue” and with the support of the Goethe Institute, Foundation of the First President of the Republic of Kazakhstan and Asia-Europe Foundation (ASEF, Singapore) organize a “Central Asian Forum on Cultural Policy and Management” in Almaty, Kazakhstan, on 27- 28 November 2018. As part of this event, the UNESCO Global Report on the Implementation of the UNESCO Convention on the Protection and Promotion of the Diversity of Cultural Expressions will be presented. Work in sessions and discussions will focus on supporting creativity in the interests of development, ensuring a balanced flow of goods and services for cultural purposes, increasing the mobility of artists and cultural professionals, regional cooperation in Central Asia. The Forum will also aim to raise awareness about the Convention. In Central Asia, only Tajikistan has ratified the 2005 UNESCO Convention. The Convention foresees to strengthen cultural industries through a variety of means: create and enhance cultural production and distribution capacities, facilitate access to wider markets, enable viable local and regional markets, adopt measures to facilitate access in developing countries, provide support for creative work and facilitate mobility of artists, and encourage cooperation between developed and developing countries in the areas of music and film. 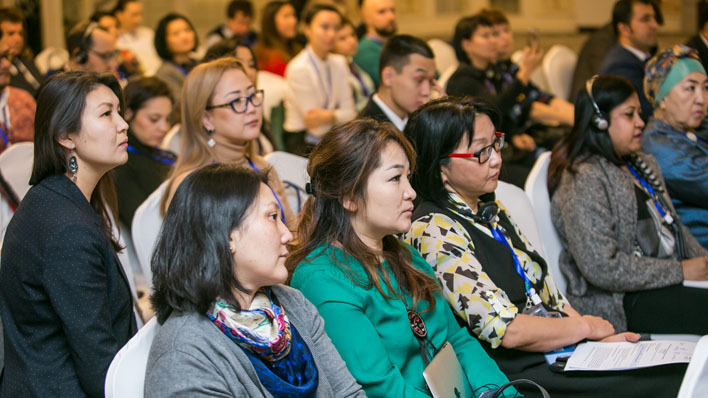 The Forum will bring together representatives of the Ministries of Culture, NGOs and national experts from Kazakhstan, Kyrgyzstan, Tajikistan and Uzbekistan, as well as international experts from UNESCO Headquarters, Goethe Institute from Germany, Asia-Europe Foundation (ASEF), and Singapore.